0	jplist-folder-All-Posts-584 jplist-folder-All-Posts-584 Live-Webinar-Live-Webinar	04/22/2015 0	03/31/2015 11:56:55	Transbeam, Inc., headquartered in New York City, is a nationwide provider of Data, Voice, Professional IT Services and Event Connectivity backed by our wholly owned next generation network. Our services are supported by a reliable MPLS/VPLS data and voice network with multi-access transport methods, professional services, highly-certified engineering staff, efficient and responsive installation services and 24/7/365 technical support from our Network Operations Center (NOC). 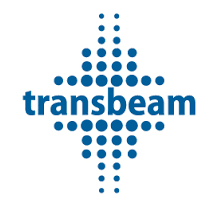 Transbeam combines the strength of a best-in-breed, large-scale national network of a major carrier, with the service and expertise of the most committed and knowledgeable IT consulting firm.